Idaho Forest Group is actively seeking logs and land. Our company prepares a Forestry Management Plan, harvests responsibly where needed, and uses a maximum percentage of the trees for lumber and other products. We harvest logs from industrial private land and non-industrial private land – as well as U.S. Forest Service land and state land – in Idaho, Montana, Washington and Canada. Desired species include Douglas Fir, Western Larch, Grand Fir, Western Hemlock, Lodgepole Pine, White Pine, Englemann Spruce, Sub-Alpine Fir, Ponderosa Pine and Western Red Cedar. We pay fair market value and can help with many of the transaction details, from forestry science to tax questions. Idaho Forest Group has a team of foresters who are experts at tree health. Their services are available to landowners to help determine the unique needs of each forest property, and the best way to manage them. They may suggest harvesting certain dying or mature trees – for which they pay fair market value, harvest sustainably and cleanly, and make the forests look better than before. From tree science to tax issues, they can answer just about any forestry question. Do you have more than 10 acres of timberland? Then it’s time to schedule your free tree check-up. A healthy forest is simply more valuable. 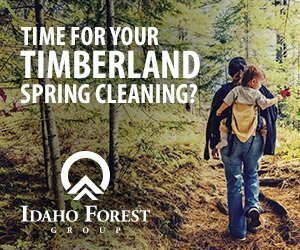 We can provide you a free, no- obligation check-up of your property with a forester from one of our five Idaho mills. Whether you want to protect your trees, manage them to generate income or preserve them as a legacy for your family, our check-up can help. Use the form below to contact us today. The IFG forestry team creates complimentary Forestry Management Plans for owners of 10 or more acres of forestland.